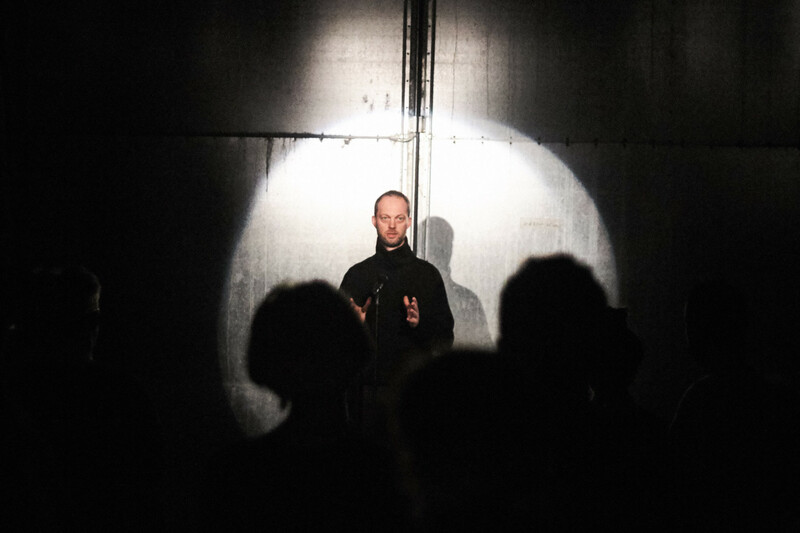 With a great interest from both the audience of Jutland and a large number of Danish as well as international music journalists and editors, SCENATET took the stage at the SPOR festival in Aarhus with Niels Rønsholdt‘s appraised opera experiment, Gaze for Gaze. Together with a new choir and new performers from Denmark and abroad, SCENATET led the curious and anticipatory audience into Rønsholdt’s love-blown darkness with great conviction and musical integrity. Among others, the theatre blog ISCENE and the music magazine Seismograf were part of the enthusiastic circle of the audience, really encaptured by the contrasts, the contradictory feelings, and the audience’s role in the plot. Read the whole of ISCENE’s reportage from Gaze for Gaze here, and Seismograf’s review here.